Are you considering closed circuit televisions for your commercial properties? These systems are a great way to protect employees, visitors, and buildings and their grounds. But as you consider closed circuit televisions have you considered who will install and repair them? Given the amount that you’ll be spending on these systems you’re going to want a company with expert technicians, a 30 min response time, and a company that is licensed bonded and insured. In short, you need 858 Locksmith. We are a complete locksmith service that services San Diego, CA and surrounding areas, and we can help you with not only installing closed circuit televisions but with any issues that may arise in operating these systems. We are a local company with 5+ years experience that offers fast and friendly service and up front pricing. There is no service delay or guessing about final costs with our company. And we have had vast experience in installing commercial closed circuit televisions. Our clients include banks, grocery stores, malls, and commercial office buildings. We have also done work for various government agencies in the San Diego area. And they remain clients because of our company’s expert and efficient service, aided by the latest technology available. If you’ve never before dealt with CCTV systems, it’s understandable that you wouldn’t think of a locksmith service as the ones to install and repair it. But a 24/7 locksmith service San Diego is exactly who you want for these systems. Why? CCTV systems are generally installed on commercial properties for security purposes. Security is of course the primary motivation of professional locksmiths. Our years of experience guarantees that these systems will be installed in a way that insures maximum protection. Our expert technicians will also make sure that you have the appropriate equipment for your surveillance needs, whether it’s inside a building, or outside and exposed to weather. Our clients’ CCTV needs may be as unique as their businesses. We therefore offer a range of equipment options, including cameras, recorders, and monitors. Is your business planning on viewing CCTV footage from one area or multiple ones? Our company can install hundreds of lines and multiple feeds to offer you a range of options in this area. And the systems that our company will install for you just doesn’t offer real time property viewing. This equipment also records and stores images for future viewing in cases of break-ins, vandalism, and accidents resulting in liability claims. Many property owners who have CCTV systems installed find that as an added benefit the system truly doesn’t have to be used. Simply the announcement of the fact of the CCTV system’s presence on the property is often enough to deter thieves and vandals. 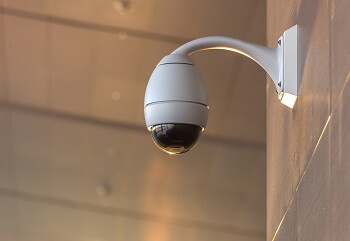 And while it’s great to know that just the threat of a CCTV system can avoid many problems, it’s important to keep these systems in top operating form to insure that they’re there when needed. To that end not only do we have trained and experienced technicians install them, when something goes wrong those same technicians are fully qualified to replace factory warranted parts and cables. They can also adjust camera settings and check and correct connections, groundings, and power settings. We can even offer advice on environmental factors that may be affecting CCTV reception and dependability, such as vegetation and temperature. There are many area security-oriented firms out there that offer CCTV installation and repair. But our commercial locksmith company has been serving the San Diego, CA and surrounding area for many years with many satisfied customers. The reason for their satisfaction is simple. Our experienced team offers fast and friendly service backed by up front pricing for all of their closed circuit television needs. In addition to CCTV, we are a 24/7 locksmith service, meaning we offer a wide variety of security services, including mobile locksmiths. This means that our technicians will come to you and work onsite, keeping your work site disruptions to a minimum. So for all of your CCTV and other commercial locksmith needs, call us and learn how a complete locksmith service can make your properties more secure. Closed Circuit Television https://858locksmith.com/cctv/ 4.1/5 based upon 25 reviews.